The works listed as by "F.R. and Q.D. Leavis" are jointly authored by Leavis and his wife, Queenie Dorothy Roth. F.R. Leavis was a highly influential British literary and cultural critic. He founded the journal Scrutiny in 1932. F.R. collaborated with his wife Q.D. (Queenie) Leavis on numerous works. 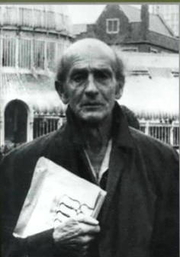 F. R. Leavis is currently considered a "single author." If one or more works are by a distinct, homonymous authors, go ahead and split the author. F. R. Leavis is composed of 11 names. You can examine and separate out names.